These cold winter days are best with a bowl of hot soup. Great for an easy lunch or dinner. 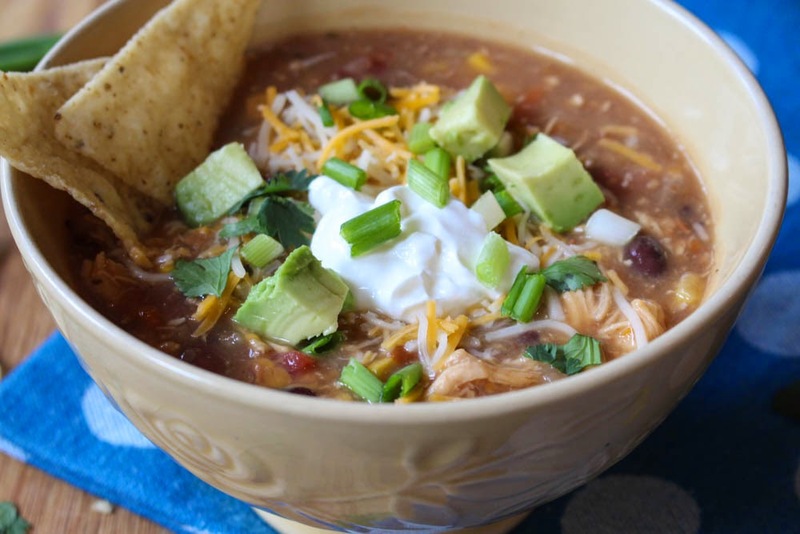 My family loves this chicken tortilla soup. It starts with Bear Creek Tortilla Soup Mix. I get mine at Target, but most grocery stores carry it. This soup mix makes the soup fast to prepare and delicious with its perfect spice blend. 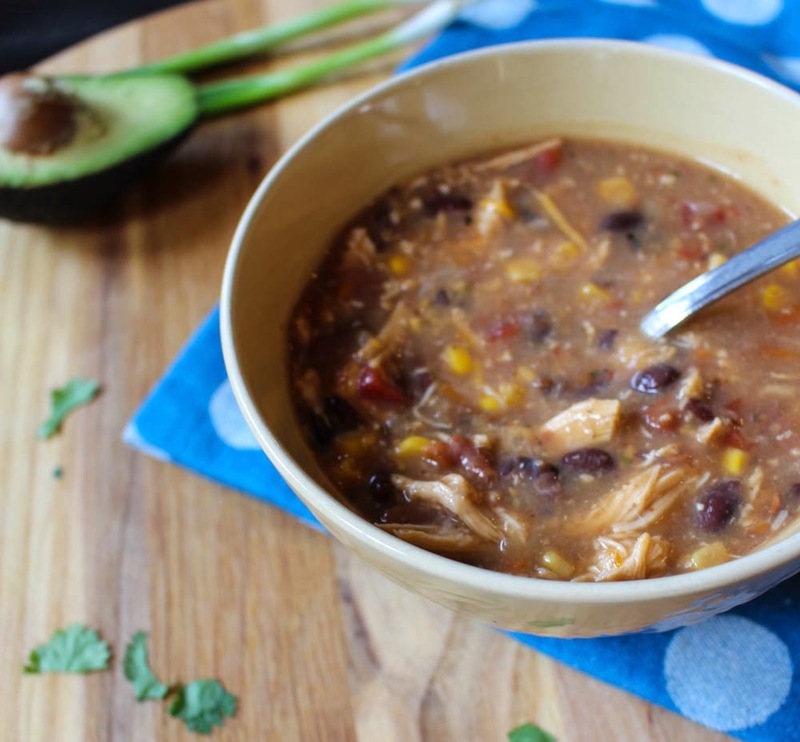 I use a rotisserie chicken from the grocery store for the chicken in this recipe. I usually use rotisserie chickens in my soups and casseroles because they are soooo delicious and soooo convenient. I shred them when I get home from the grocery, put in tupperware, and the chicken meat is ready for when I need it that week. Such easy prep! 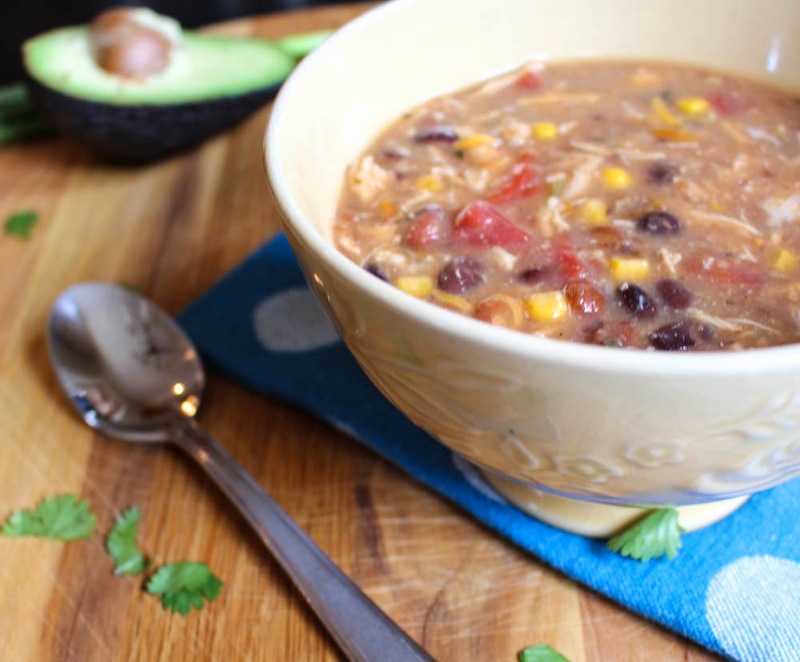 You could easily make this soup vegetarian by leaving out the chicken and using vegetable stock instead of chicken stock. 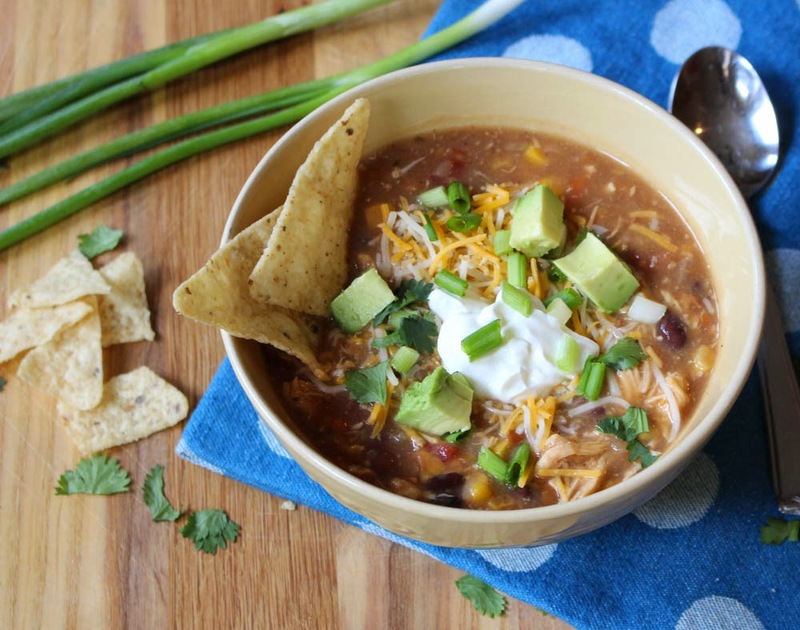 The toppings make this souper special (see what I did there!). You really could add anything you like. I listed some of what we usually top it with. What makes it perfect for a family or group is that everyone can customize it with what they like. This would be perfect for a Super Bowl Party this Sunday. On medium heat, saute diced onion in 2 T olive oil until tender, 2-3 minutes. Add chicken broth, water and Tortilla Soup Mix. Whisk. Add tomatoes, corn, beans, and shredded chicken. Simmer at least 15 min. or up to 1 hour. Add additional water if needed. *Frozen corn can be substituted for canned corn. This soup mix is amazing. I add chicken,corn,tomatoes,avocados,sour cream,cheese,tortilla strips,lime,cilantro and even rotel.